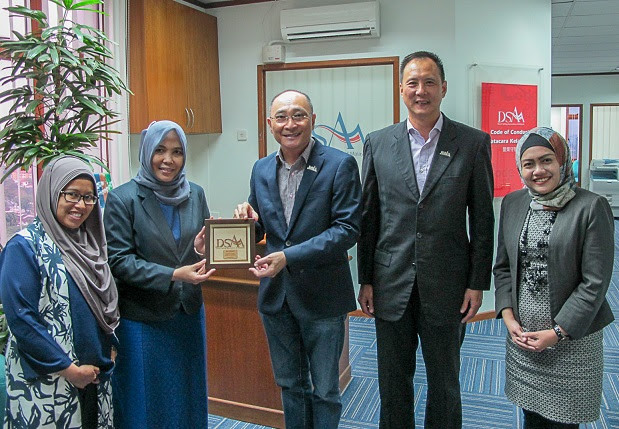 Representatives from the Ministry of Trade (MOT), Republic of Indonesia paid a visit to DSAM. The purpose of the visit was to gather information on the regulations and guidelines governing the Direct Selling industry in Malaysia. General practices and DSAM’s self regulation among our Members were also discussed. Later, there were exchange of information on illegal schemes and scams that are operating in both countries. MOT will be vigilant of these operations especially of those that are already operating in Indonesia.